Sometimes we need motivation to keep putting one foot in front of the other. Music can be an aid (see this post). Whether you sync up the beat with your footsteps or simply use it as a distraction, does it matter if it gets you going? Here’s some inspiration, and happy walking! 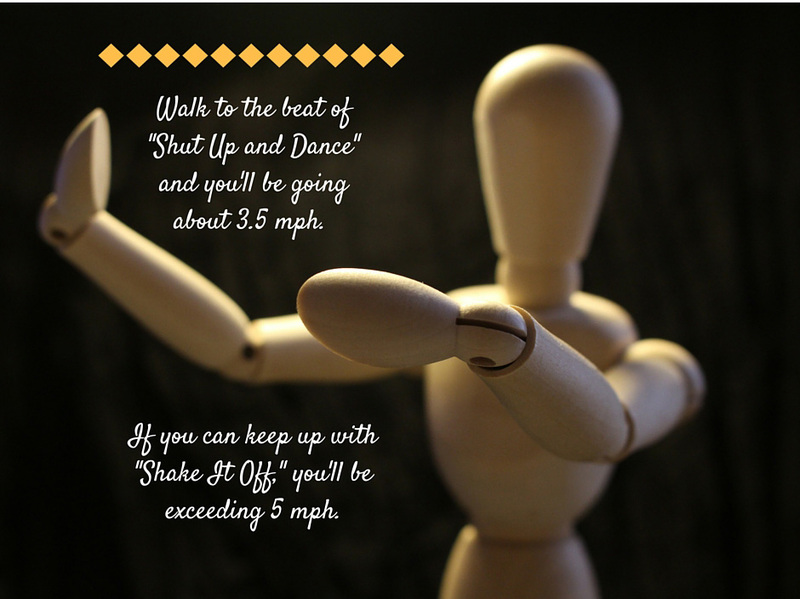 This entry was posted in Walking Fact Wednesdays and tagged #shakeitoff, #shutupanddance, #stepitup, music, music and exercise, walking, workout music by Walk With Joelle. Bookmark the permalink.